The Great Northern Railroad built many lodges along their railroad to act as grand attractions for their rail travelers. 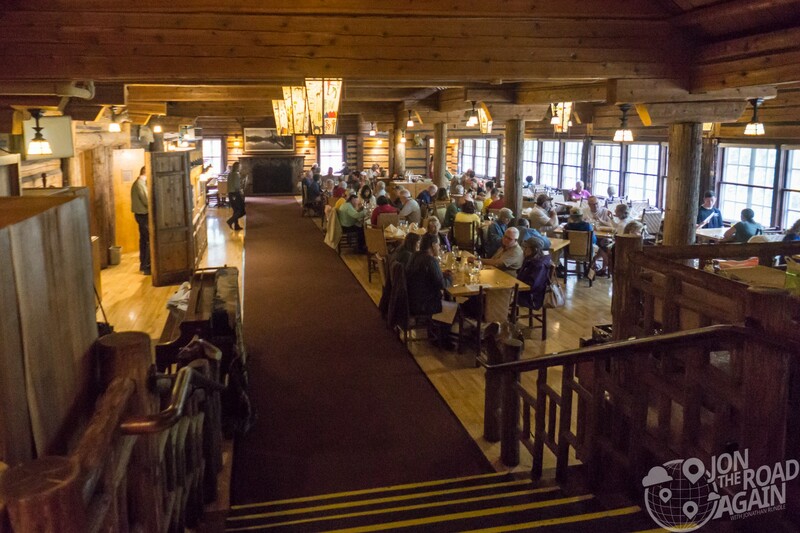 Although built in the same “Swiss chalet” style, Lake McDonald Lodge was NOT built by the Great Northern Railroad. This fantastic lodge was built by an unrelated businessman named John Lewis. In 1913, Lewis wanted to take advantage of the investments (and advertising) Great Northern was making in the region. 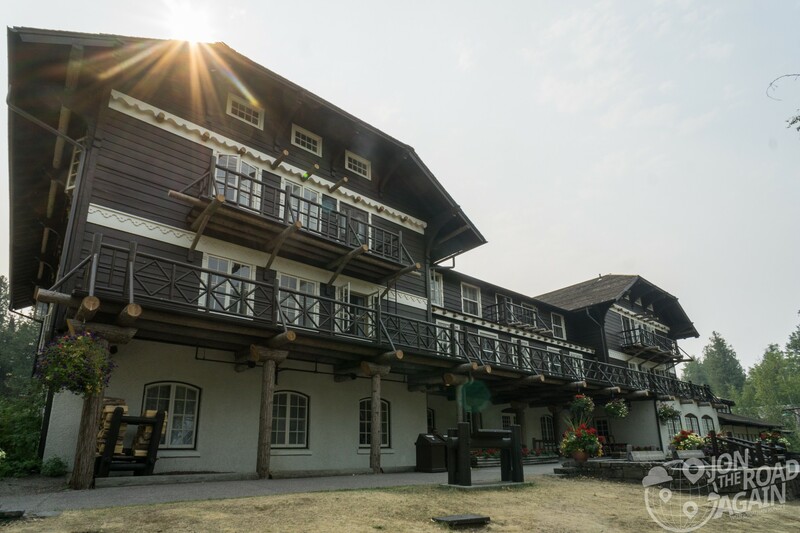 It was a smart investment as Lewis’ “Lewis Glacier Hotel” was a winner then and continues to impress today. Approaching the lodge via Going-to-the-Sun Road, you might be a little unimpressed with the lodge’s “front” entrance. There’s a reason for that. You see, the side of the lodge you drive up to today is actually the rear! In the early days of Lake McDonald Lodge, most of the visitors arrived by boat. 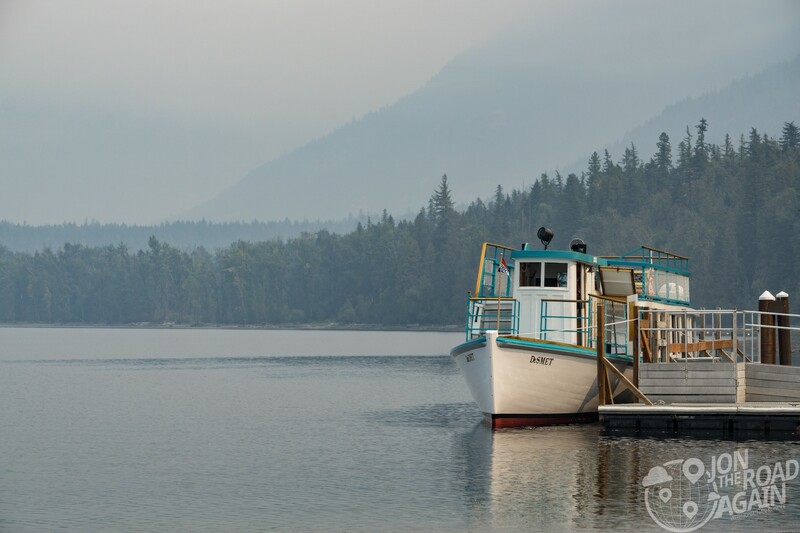 The 10 mile journey from Apgar to Lake McDonald Lodge was done on a steamboat. 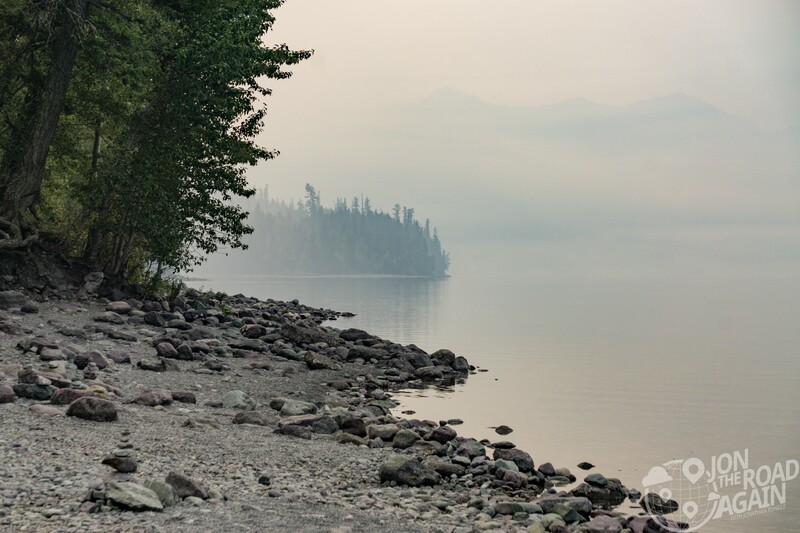 To reach the steamboat at Apgar, you had to first take the train to West Glacier, cross the Flathead River by ferry, and then take a two mile horse and carriage ride. Their first impression of the lodge is today’s rear of the building. 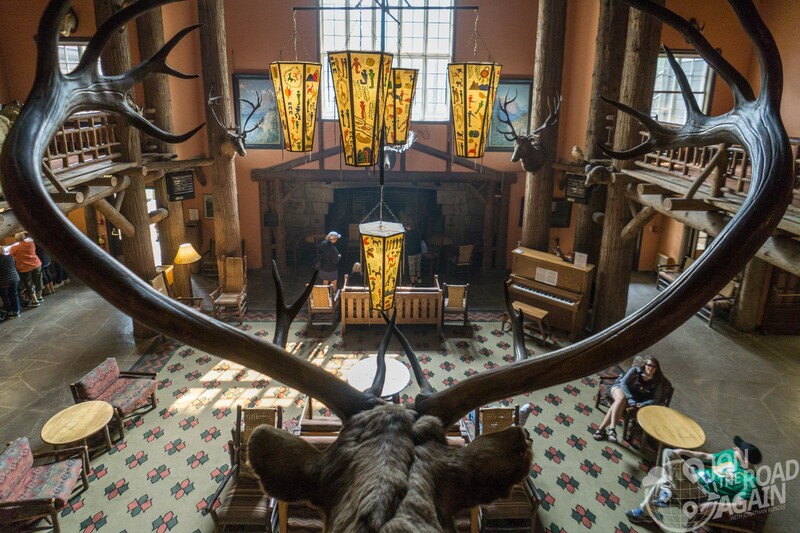 Walking through the unassuming “rear” entrance, the soaring, multi-story Lake McDonald Lodge lobby overwhelms you with taxidermy. 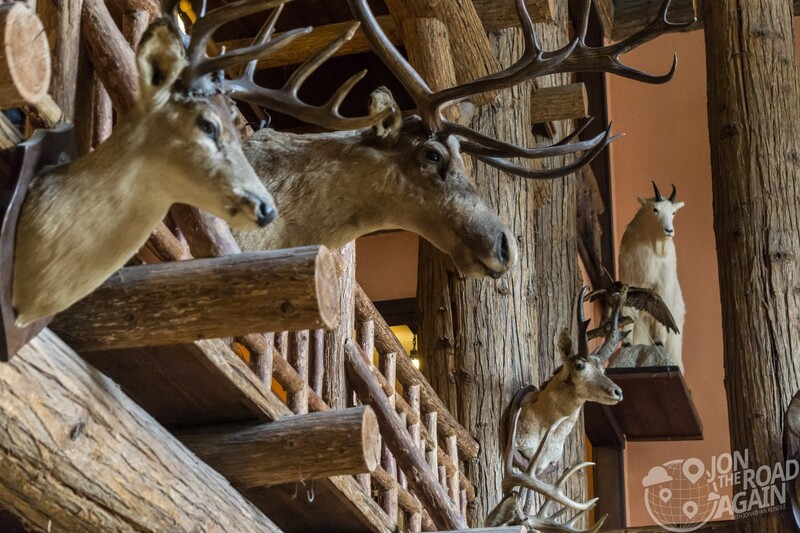 Elk, moose, goats, deer, birds, and plenty of other local wildlife inhabit the rafters. 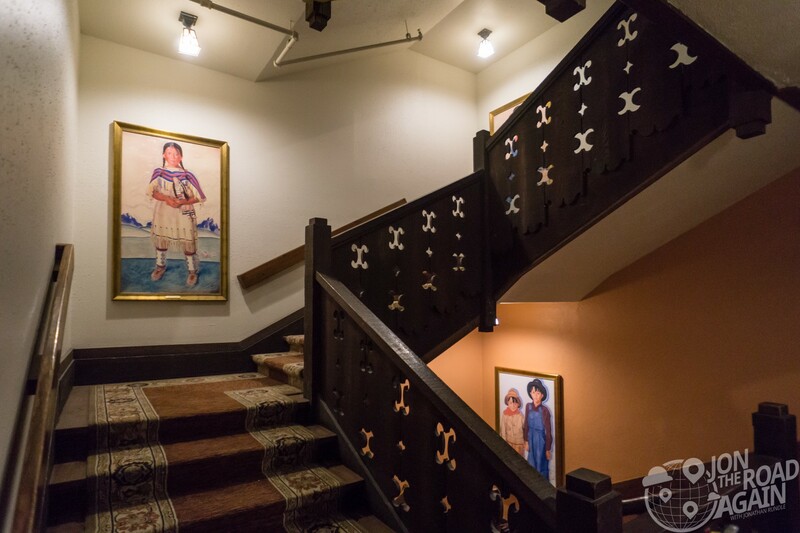 Original artwork hangs on the walls, but those lanterns are reproductions. 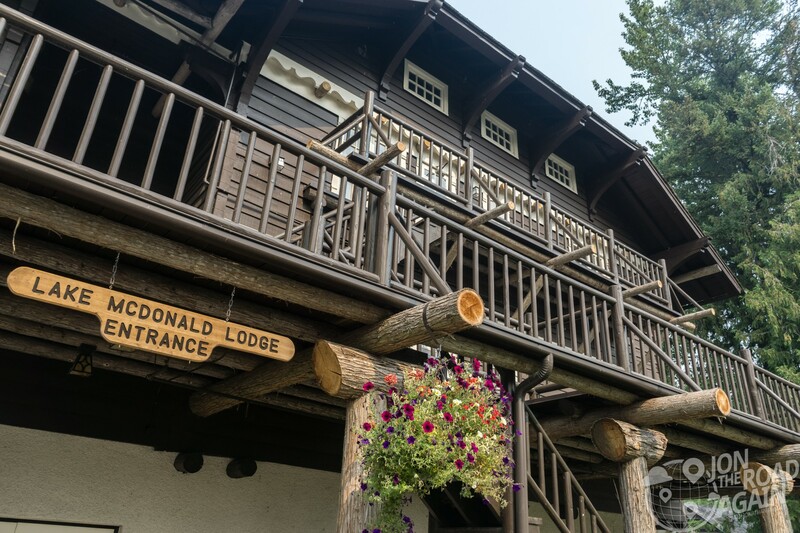 The originals are the work of Kanai craftsmen (natives of Canada) but have relocated to the Prince of Wales hotel in Glacier’s sister park Waterton Lakes National Park, Alberta. At the huge fireplace, the plaque from 1987 that proves this place is historic. Some of the rustic furnishings are originals. 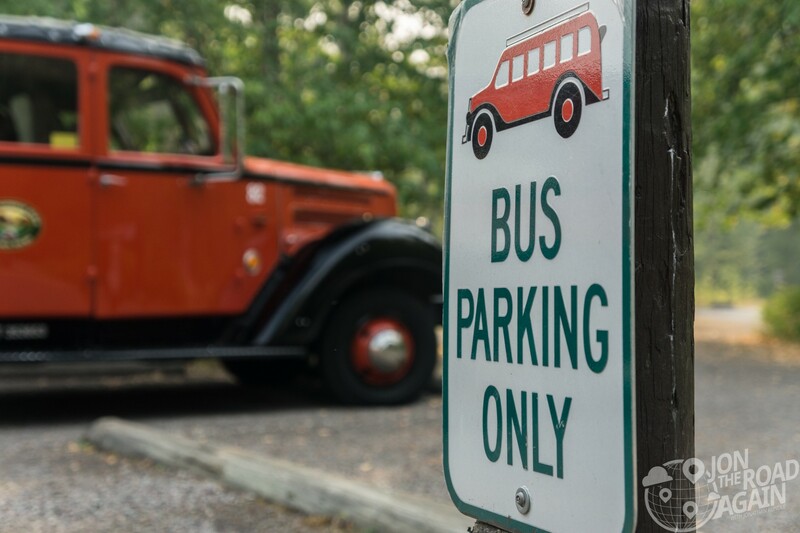 There are desks available where you can book a Red Bus tour, boat cruises, horseback rides, evening ranger programs and more. A good view of the lobby is found from the second and third floors. Stepping up here you can also get a good idea of how the rooms are, especially if the cleaning staff leaves the door open. Not 5-star (or 4-star, really) luxury, but certainly more comfort than a tent. Pretty decent views out the back to Lake McDonald. Climbing the steps will get you a little closer to the taxidermy, too. 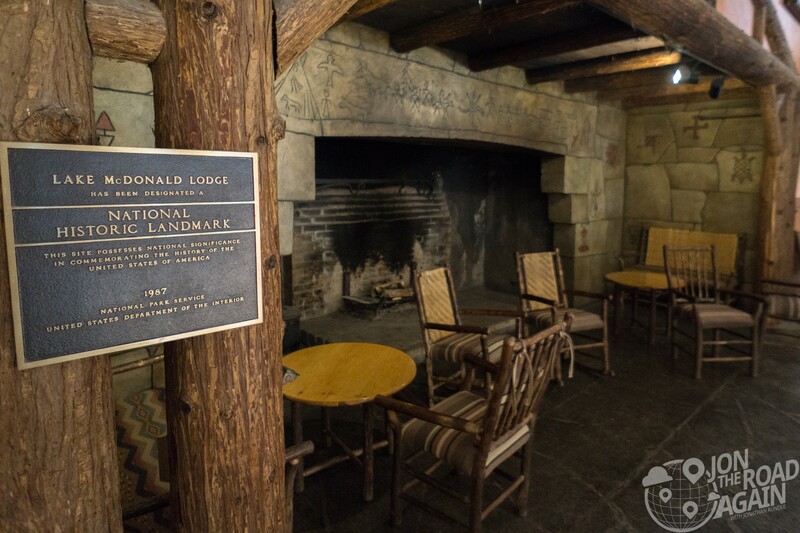 The lowest level of the Lodge features Russell’s Fireside Dining Room. It features breakfast, lunch and dinner. The restaurant features a fairly small menu, but all I really wanted was a cold beverage with barley and hops. 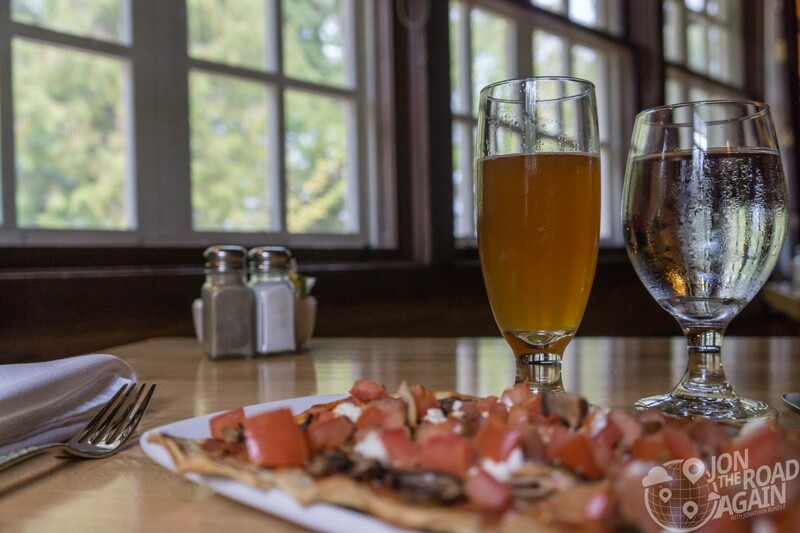 Suggestion: add the bison sausage to your tomato and wild mushroom flatbread. There are a couple of other dining options nearby. A lounge right beside the dining room and another place called Jammer Joe’s Grill and Pizzeria. I hear it is not good, though. Without cell service, you can forget about checking Yelp in the park. As mentioned earlier, the rear of the lodge is designed to show off to the guests arriving by boat. So, this elevation is a little more impressive than the Going to the Sun Road side of the building. The exposed timber under the balconies and the decorative touches set this side apart from the front. The exposed timber is beautiful. 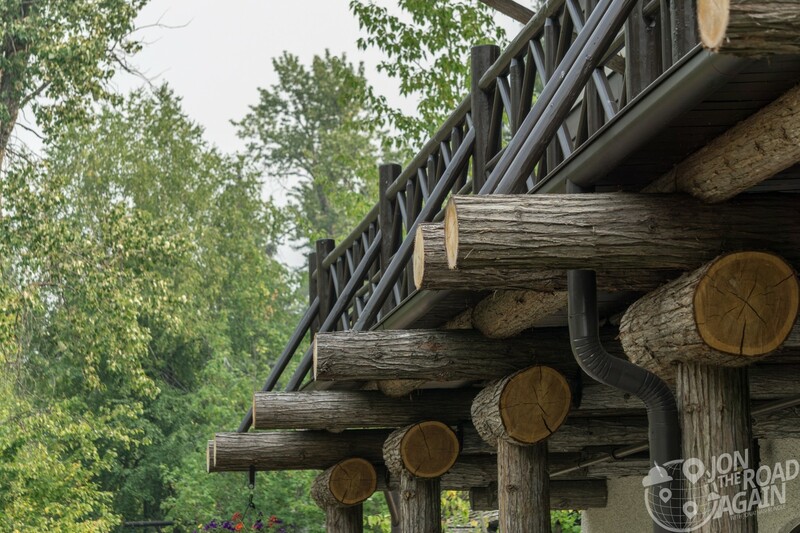 This lodge isn’t built to blend in to it’s surroundings, rather it draws inspiration from them. Speaking of those surroundings, there’s no better way to explore the lake than on the water. That’s why we’ll hop on the DeSmet for a Lake McDonald Sunset Cruise. If a boat isn’t your thing, try the Red Bus Tours. 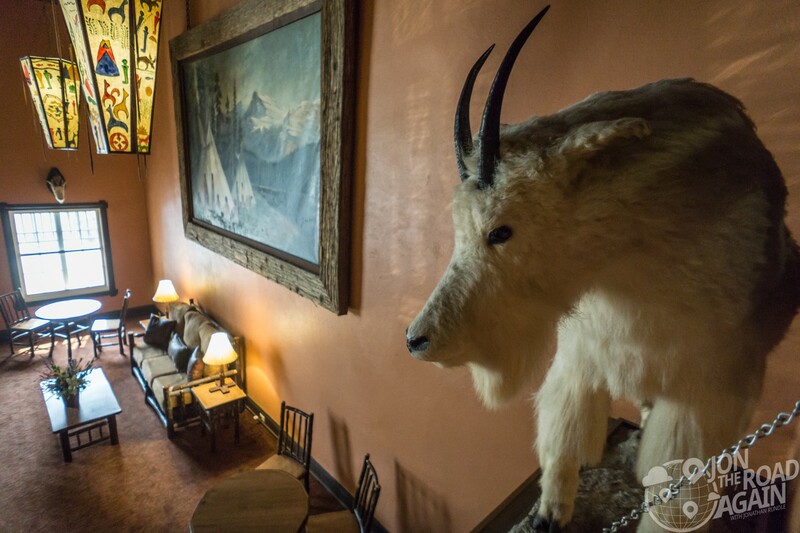 They’re bookable here at Lake McDonald Lodge and at many other locations throughout the park. You have a number of choices for accommodation ranging from classic hotel rooms, to straightforward hostel rooms with shared bathrooms, to relaxed 2-room suites with stone fireplaces. To the east, there are also free-standing cabins with rustic exteriors and classic decor. The lodge is open late spring to early fall. Book a stay online and/or check opening and closing dates here at their website. Lovely .Still reminds me of Yellowstone .That must have been a wonderful way to travel by train through the west.